No company can foresee all shipping foibles, but with GroundExpedite.com, you'll be more than prepared to handle them. Ground expedite services get you out of even the most difficult shipping situations that a company can face, and no one provides them more reliably than GroundExpedite.com. With our fleet of cargo vans, tractor trailers, and straight trucks, we are prepared to load all of your delivery items safely and affordably, and then deliver them at rapid speed. This lets your company keep running during even the worst shipping emergencies. Swift Shipments - We keep vehicles in key locations across the continent, and perform regular repairs and updates to maximize their speed and performance. Customer Demands - Some customers are not satisfied with your standard shipping schedule, and will demand that you deliver a finished product to them much earlier than expected. If they have the money to make this worthwhile, you may be tempted to comply, but that doesn’t make it any easier to make the delivery. New Needs - If your company suddenly needs new supplies from a different location, you may have trouble coordinating their delivery. This can delay or even completely undermine plans to expand and enhance your business. GroundExpedite.com has extensive experience dealing with all of these situations in any industry. We have the vehicles, drivers, and technology to get your goods to their destinations on schedule, even under the most challenging circumstances. Sustainable Services - Besides raising their speed, our maintenance services also minimize our vehicles’ fuel use. This allows us to lower our environmental footprint while charging you lower prices. Safety & Security - By keeping such a wide range of vehicles in good condition, we can accommodate even the most perishable goods safely. We also require our drivers to operate in teams of two on long deliveries, ensuring that they get enough sleep and can thus drive safely. Vehicle Breakdowns - While bringing supplies to you or finished products to your customers, one of your carrier’s vehicles may suffer a mechanical problem and break down on the road. This will instantly delay the shipment, and if the items the truck was carrying are perishable, you risk losing them completely. GroundExpedite.com regularly raises the quality of our operations, using customer feedback and new technology to improve ourselves. 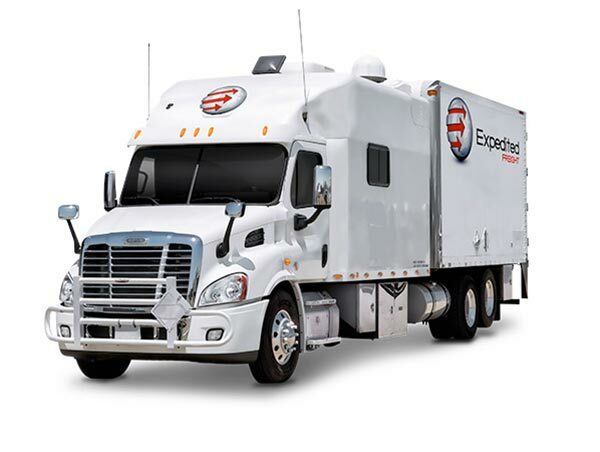 To learn more about ground expedite services, call (800) 713-1000 or visit our website today.